The Churches of Christ-associated Pepperdine University in California has quietly given up its longtime federal Title IX religious exemption that allowed the school to maintain its biblical convictions on marriage and gender identity, it has recently been discovered. Over the last few years, many Christian schools have requested and been granted religious exemptions to the Obama administration's interpretation that the Title IX law of 1972 prohibits discrimination on the basis of sexual orientation and gender identity. Those exemptions allow colleges to enforce campus policies that prohibit their students from engaging in things like homosexual relationships and sexual relations outside the context of marriage. While many Christian colleges have only recently within the last few years been asking for an exemption to the Obama administration's interpretation of Title IX, Pepperdine was granted its exemption to provisions in Title IX in 1985, after requesting it in 1976. But according to a letter that was sent to the Department of Education's Office for Civil Rights from Pepperdine President Benton in January, the school feels it no longer needs such an exemption. Benton's letter requesting to withdraw its 1976 request for exemption was brought to light last week by Shane Windmeyer, the executive director of Campus Pride, in an article published by The Huffington Post. "The 1976 exemption request was granted by the Office for Civil Rights. Since that time, the university has not asserted its exemptions," Benton's letter reads. "While the university continues to be controlled, within the meaning contemplated by Title IX, through its affiliation with the Churches of Christ, the university is committed to complying with Title IX." After The Huffington Post reported on the letter, Pepperdine officials clarified in a statement published by Inside Higher Ed that the nature of the exemption doesn't "fully reflect" the values of the school. 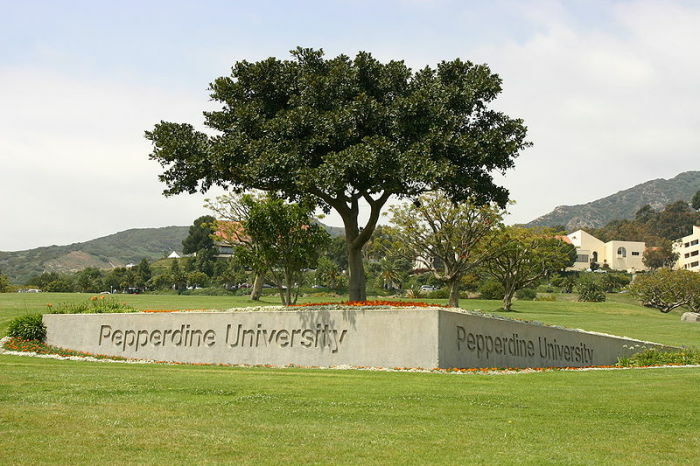 "Early this year, the university withdrew from the previously granted exemption because it does not fully reflect Pepperdine's values today," the statement reads. "We believe that Pepperdine's mission and the goals of Title IX are aligned, and we are committed to complying with Title IX in its entirety." Although the school maintains that the exemption does not reflect the school's values today, a letter from former Assistant Secretary for Civil Rights Harry M. Singleton to former Pepperdine President David Davenport in 1985 indicates that the school originally sought the exemption because of its belief that "God approves sexual relationships only between male and female in holy wedlock." Additionally, the school sought exemptions for its belief that "women should not serve in positions of authority or leadership over men in public worship, religious instruction, or in the home." Pepperdine officials did not respond to The Christian Post's inquiry for additional comment about whether the school's motivation to withdraw its exemption request came as a result of Campus Pride's publishing of a "Shame List" last December. The list featured Christian colleges that have been granted the Title IX exception. Campus Pride also urged the Department of Education to release its own list of schools seeking exemptions, which the agency published in April. There are 75 schools that have an exemption to provisions in Title IX. According to Deseret News, 60 faith-based schools have been granted exemptions to Title IX provisions since the Department of Education announced that Title IX protects transgender students.